The 3rd Annual NY Craft Beer Week through October 3 features more than 100 beer destinations and 30 of the city’s best restaurants. Celebrate NYC’s top craft brewers and celebrity chefs while sipping on this year’s official NY Craft Beer Week concoction, “Geektoberfest.” For the ultimate Craft Beer Week experience, buy a Passport, an all-in-one resource guide ($10; purchase online or at participating venues) containing the best beer destinations in the city as well as discounts and promotional deals in participating restaurants with “Beer Pairing Menus.” Don’t worry if you can’t make it to all of the Passport-featured restaurants by October 3, as some restaurants are extending selected promotions through Labor Day 2011. 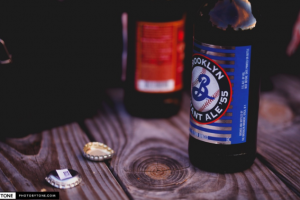 As in Germany, NYC's Beer Week is marked by festivals including the 3rd Annual Freaktoberfest Boutique Beer & Music Festival, the Get Real NY Cask Ale & Food Festival, and the Long Island City Beer Festival. And, to help you control all those carbs that you'll be ingesting, there are beer walks (from bar to bar, of course) and bike tours (hopefully, sober ones). 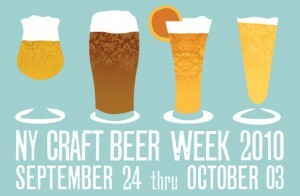 For a full sechedule of events, visit http://www.nycbeerweek.com/. 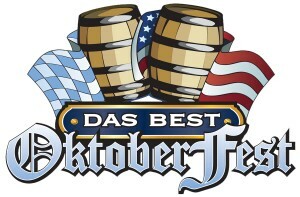 Oktoberfest will take place Saturday, October 9, from Noon - 5pm, at Picnic Point on Governor’s Island. Hosted by MeanRed, this free event is open to the public. Each year, more than 3,000 people flock to the family-friendly event for five hours to sip fine beers, enjoy authentic foods, and play lawn games. Kids can join in the festivities by sipping root beer and enjoying the live music and fun activities. Find out more at http://meanredproductions.com/2502. Das Best Oktoberfest, produced by the Trigger Agency, will take place October 23-24, 2010 at LA.VENUE (608 West 28th St., between 11th and 12thAves. Guests can sample more than 200 international wines, beers and schnapps, while enjoying a delicious German sausage platter. Local restaurants will also serve their own German-inspired fare. Live, authentic oompah and polka bands including the New York Klezmer Ensemble, the Crazy Oompah Band, the Austrian Boys, and Alpine Squeeze will have guests singing and dancing throughout the evening, and guests are encouraged to help create the ultimate Oktoberfest ambiance by dressing in authentic German dress. VIP Admission: $95 Includes admission into the event, a souvenir tasting glass, unlimited sampling of beer, wine, and schnapps, German sausage platter dinner, entry into the VIP area that includes special tasting and other benefits, access to VIP washrooms, and all live entertainment. General Admission: $75 Includes admission into the event, a souvenir tasting glass, unlimited sampling of beer, wine, and schnapps, German sausage platter dinner, and all live entertainment. Designated Driver Tickets: $50 Includes admission to the event only. Guests must be 21 or over to attend this event. Tickets are now available online at www.nyoktoberfest.com. B Cafe West, 566 Amsterdam Ave. This entry was posted on Friday, September 24th, 2010 at 11:31 pm	and is filed under Stuff to Do. You can follow any responses to this entry through the RSS 2.0 feed. You can leave a response, or trackback from your own site. nice post… if you guys keep this up ur gonna get huge in the blogosphere soon!